Still not sure what to expect from The Project World School Family Summit? No problem! We’ve taken the liberty of putting together a clearly worded fact sheet so that you can know just what we’re all about. Unlike traditional conferences, the Project World School Family Summit is a participant-oriented gathering where attendees provide the content for the discussion topics, workshops and sessions, all of which are sourced from within our community. People come to share and to learn from one another. Informational, inspirational and insightful. Discovering, creating and finding community leads to confidence on you family’s independent worldschooling journey. Project World School Family Summits serve as your temporary community hub, knowing you always have a safe space to explore your fears and doubts, and be among those that understand you without judgement. Welcoming of children with special needs, gender identities and exceptionalities, welcoming to all levels of worldschoolers and to all types of families. 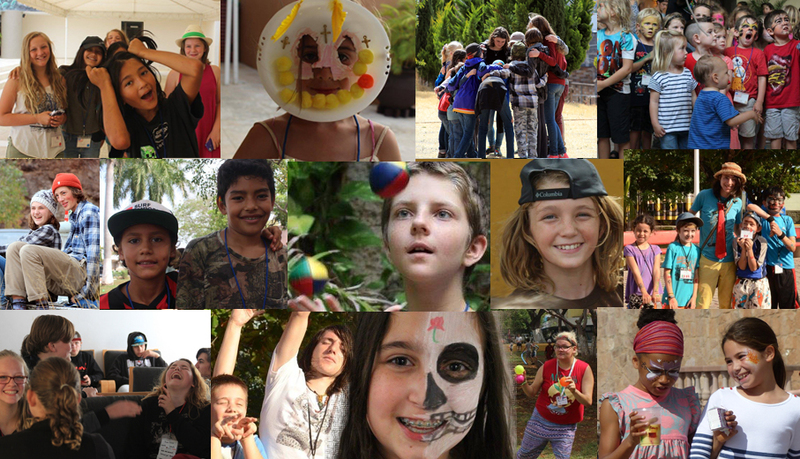 The Project World School Family Summits are a twice annual event, taking place in the Spring, in or around Mexico and in the Fall, in or around Asia or Europe. Prices are intentionally kept low in order to make the Project World School Family Summits accessible to as wide of an audience as possible. Scholarships and sponsorships are always just a message away. These events are organized as a community gathering, not for profit, and designed to provide the most value for your worldschooling journey. We welcome homeschooler, unschoolers, conventional schoolers, expats and those who are just curious. A space for discovery, a space for unfolding, a space for authenticity, and a space to practice trusting the process, much like real world travel. Although it’s important to understand that, while this is not an unschooling conference, the ethos behind organizing such an event comes from the value of partnership and co-creation (as is the philosophy of radical unschooling). The event is designed to be co-creative, informal and personal, and maintain the ability to be flexible based on the community’s needs and feedback. The Project World School Family Summit will always be hands on, interactive, immersive and participatory, mirroring much of a ‘real world worldschooling travel experience’. Play is as important to children as structured classes. Free play, in this environment, allows children to practice making autonomous choices, all within a safe, facilitated environment. Play is a normal part of childhood, and normalizing worldschooling through play is our goal. Let’s face it, your kids want to play, and play provides the freedom to explore and imprint a positive worldschooling memory. offer free admission for grandparents. We feel it’s important that your family gets on board and understands that worldschooling is a movement and a community, and that you will be supported in your decisions. Also, those with small children can enlist grandma and grandpa to help out with the kids. By discussing topics surrounding learning, parenting, traveling, health and wellness, and location independence. Children learn through play. It helps them to build self-worth, by giving a child a sense of his or her own abilities, and to feel good about themselves as well as to normalize their worldschooling lives by connecting with other worldschooling children. Come to the Project World School Family Summit with the expectation of a co-creative community event, rather than a formal conference. The experience is different every year, based on the community and the content that it shares. This is not a corporate or commercial venture. This is a community gathering. Through community we find solutions. Through community, we are inspired. Through community, we feel supported. This not only for families who have already figured out how to make it work. You don’t have to come with all of the answers, just the dream. This is something that we created as a vehicle to explore alternatives for all kinds of families with all kinds of economic situations and travel preferences. We aim to keep the summits affordable as a way to create community in the spirit of inclusivity, and facilitate sessions that are relevant and adaptive to your needs. We make the distinction between offering activities and forcing ‘classroom learning’ here. However, ultimately we leave the choice to participate up to the kids themselves. Either way, kids are supervised based on their individual preferences. If a child chooses not to participate in the Kid’s Camp, that is their choice and we will not hold them there against their will. Project World School is not responsible for children under the age of 5. The PWS Family Summits are not luxurious and extravagant, nor is this a retreat. Roll up your sleeves because you’re in the world and things can get messy out here. We do not believe in such a thing as a worldschooling expert. Everybody has expertise in their own experience with their own families and travels. Everybody’s experience is valuable and everybody can learn from one another. Do not come to the Project World School Family Summit and expect to learn one expert’s program on how to worldschool. There are as many ways to worldschool as there are families. The point of the summit is to help you pave your own way that works for you and your family. Even though the summit is run by unschoolers, we are not pushing any one agenda, nor do we believe that there is only one way to educate, parent or worldschool. We all agree to come to the summit with an open heart and mind. Project World School is entirely secular and does not have any religious affiliation. We are accepting of all kinds of educational and lifestyle modalities. This is not just a conference for unschoolers, or for homeschoolers, but instead is open to anybody interested. Please see above. As described above, all of our talent comes from within our own community, and our community is very talented. That’s you! Since there’s no such thing as a worldschooling expert, bring your knowledge base and share your own specific part of the equation that is the ‘worldschooling puzzle’. Even though during the kid’s camp we offer activities, crafts, and cultural explorations, no child will ever be coerced to participate. All participation is non-compulsory and we extend the co-creative philosophy of our summit to the children as well. And the reason for this is that we believe in flexibility and practicing showing up without expectations. It prepares you for real world travel. Sometimes, we won’t have all of the information and we need to learn that that is okay. Project World School Family Summits do not provide baby sitting services. However, we encourage you to bring a grandparent to help support your family (see above). Children are allowed to accompany you in the main conference space, but if they are too loud or disruptive to the sessions, you may be asked to go outside. All children under the age of 5 must be attended to by a parent or guardian.